Is it in harmony with New Testament teaching for churches to separate into Bible classes that accommodate various groups according to each aggregation’s special needs? 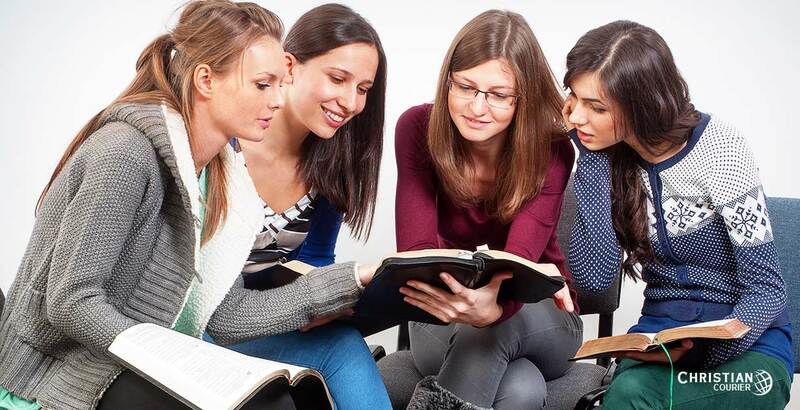 Some years ago some folks developed the idea that when the church comes together to worship God, there must be no dividing of that body into individual Bible classes. These misguided folks refused fellowship with other Christians who conducted organized Bible studies via the class method. Their insistence upon an undivided assembly fractured the body of Christ and created significant division. Such a schism was (and is) worthy of a kindly, though appropriate, rebuke. No one to this writer’s knowledge has ever contended that the church absolutely must teach by means of the class arrangement. Such would involve making binding law where there is none. On the other hand, to forbid others to utilize the class method of teaching is also a transgression. It similarly creates a man-made law. Moreover, it reflects a lack of understanding of some important biblical principles. At the base of this divisive error is the failure to understand the difference between specific and generic law. Specific law is a divinely imposed obligation in which the manner of its implementation is dictated by the command itself. The command “preach the gospel” (Mk. 16:15) sets forth the obligation to “preach.” But it also defines the content of the message — the redemption through Christ and information related to our salvation. Here’s another example. The Lord instituted his memorial supper consisting of bread and fruit of the vine. He further commanded, “this do” (Lk. 22:19; cf. 1 Cor. 11:24). In issuing the command as he did, he limited the communion elements to the items specified. However, a command that is specific in one way may well be generic in another. For instance, one may not add “doctrines of men” to the “gospel” as a hybrid mixture. However, the medium through which one proclaims the gospel may be face-to-face, through literature, radio, television or the internet. In reference to the Lord’s Supper, we cannot substitute or add elements to the bread and fruit of the vine. That doesn’t mean, though, that the church is banned from using utensils to distribute the supper. Such items are expediencies. When the Hebrews writer said, “forsake not the assembling of yourselves together” (Heb. 10:25), the Holy Spirit implies a place for assembling. But the scriptures leave the type of place to the judgment of Christians. In the first century, they assembled in public temple areas (Acts 2:46), in private homes (1 Cor. 16:19) and even in a public schools (Acts 19:9). Similarly, there are numerous New Testament contexts in which the obligations of the church to teach and to be taught by competent teachers are set forth, either explicitly or implicitly (Acts 20:28, 31-32; Eph. 4:11ff; 2 Tim. 2:2; 4:1f; 2 Pet. 3:18; etc.). The generic responsibility to teach does not contain an explicit pattern that regulates every instructional environment. A failure to recognize this principle has led to unauthorized division. Some folks assume that since there is a general worship assembly on the Lord’s day, all church teaching must be done within the confines of that specific assembly. That assumption cannot be established biblically. Before leaving the matter of expediency, perhaps this notation is appropriate (for the benefit of any who may not really comprehend the nature of “expediency”). Expediency is not to be equated with the disposition that disdains Bible authority and advocates that one may autocratically encroach upon the “silence of the scriptures” by fabricating a personal, theological agenda. There can be no expediency without authority. Generic authority, as illustrated above, provides the basis of expediency. Innovators, i.e., advocates of the “will-worship” philosophy (Colossians 2:23), would compliment themselves by learning this principle. Advocates of the “no class” dogma generally hang their case on two passages — 1 Corinthians 11:20 and 14:23 in which the expression “in one place” is found, presumably with reference to the common Lord’s day assembly of the church. While these texts reference occasions when the entire congregation was assembled, it by no means demands that on every occasion when the church meets it must assemble in one room. Not long after the Jerusalem church was organized, the number of saints in that city numbered possibly 10,000 (see Acts 4:4, which calculates males only). It is highly unlikely that they had an accommodation that facilitated an assembly of perhaps 10,000 believers (not to mention children) in one room! The two “one place” proof-texts (cited above) pertain to the Corinthian church. That congregation had many members (Acts 18:8, 10). Further, since Paul labored in the city for eighteen months after the initial conversion surge (Acts 18:11). In consideration of these facts, it must be acknowledged that this church was required either to segment into smaller congregations (though the term “church” in the singular is used exclusively of God’s people in this city — 1 Cor. 1:2) or else these folks could not assemble unless they had a facility with a room large enough in which the whole church could come together. In these two Corinthian texts, the issues addressed dealt with congregational procedure (such as the atmosphere of nondiscrimination, peace, and orderliness), not the size of the worship facility. As a matter of fact, Paul’s use of “if” (ean) in 1 Corinthians 14:23, implies that there might well have been occasions when the church was not assembled as a whole body in one place. Professor Gordon Fee argues that the expression here employed may well suggest a single gathering in contrast to the Corinthian Christians meeting at other times in various homes (683). One manner by which the scriptures teach is by the recognition and application of principles — principles grounded in common sense and timeless truth. Any serious student is aware that the Bible acknowledges what may be characterized as the “gradation” principle. Exactly what is meant by this expression? It is a concept that recognizes that people come with varying abilities and experiences, at different ages, etc., hence, may need to be taught differently, depending upon those variants. Reflect upon the following. In both the parable of the “talents,” and that of the “pounds” (Mt. 25:14-30; Lk. 19:11-27), recognition is given to the well-known reality that people have divergent abilities. It is folly to think, therefore, that each of these categories may be taught effectively (in a long-range, broad program of instruction) in precisely the same way. A classification of abilities at the very least suggests a gradation of accelerated levels of teaching. The scriptures make a distinction between the “weak” and the “strong” (Rom. 14), and between “meat” and “milk” (Heb. 5:12ff). Surely a clear-reasoning person can see that a “class” arrangement, designed to accommodate different levels of education, spiritual longevity, and other similar variables is but a reflection of the sacred wisdom set forth in these principles. The New Testament recognizes the need for different sorts of topical themes, grounded, for example, in social differences. In several of his epistles, Paul addresses distinctive classes of individuals, depending upon their particular needs, e.g., husbands and wives, servants and masters, elders/deacons and “non-official” Christians, teachers and students, the needy (e.g. widows) and those responsible for their welfare, the aged versus the younger, and the responsibilities of men as distinguished from women. If an inspired apostle recognized the principle of gradation, even in his brief epistles, how much more should a prudent leadership acknowledge the wisdom of such in the general configuration of congregational education? What the anti-class faction cannot show is that there is a binding pattern requiring the assembled church to stay in one room with one teacher on every occasion. This is an unfounded position that makes law, rather than respecting the expedient liberty and congregational autonomy. Paul gave specific instructions to a church that regulated how the congregation was to conduct itself in certain situations (as in the Corinthian case). But these instructions no more bind this as an exclusive pattern than does the fact that the church in Ephesus met in a private home (1 Cor. 16:19) demands such as an exclusive facility in which to assemble. Finally, to suggest that the class arrangement is somehow in violation of the numerous passages prohibiting church division is one of the most incredible misappropriations of scripture imaginable. One might as well contend that the assembly auditorium must be undivided by a center aisle or that the people must all sit on a single pew in the interest of “unity.” With all due respect, the Lord did not intend for his people to abandon common sense in their approach to the New Testament. If some Christians do not wish to utilize the “class” arrangement for teaching the Bible, that is their affair. Brethren should love them nonetheless. If factious spirits make laws that divide the larger body of Christ, such is a sin that deserves the strongest censure. Are Modern Church Buildings Digressive? Fee, Gordon. 1987. The First Epistle to the Corinthians. Grand Rapids: Eerdmans.